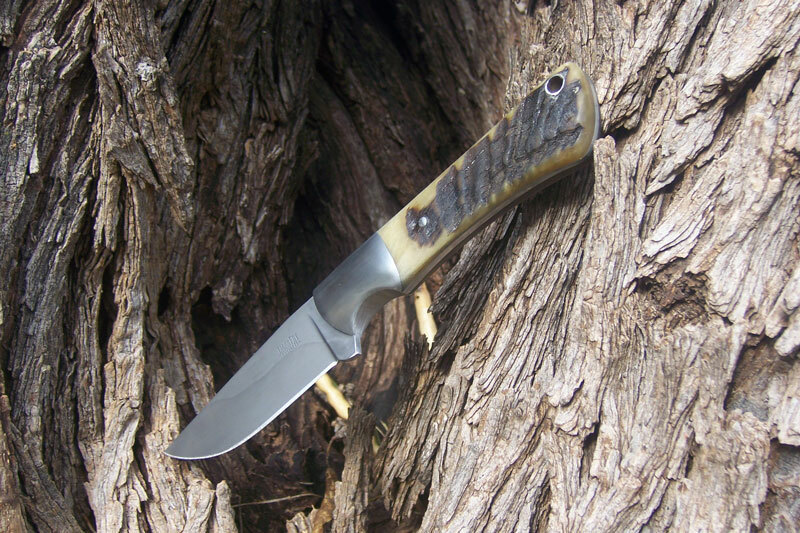 This knife is my Llano Legend model. 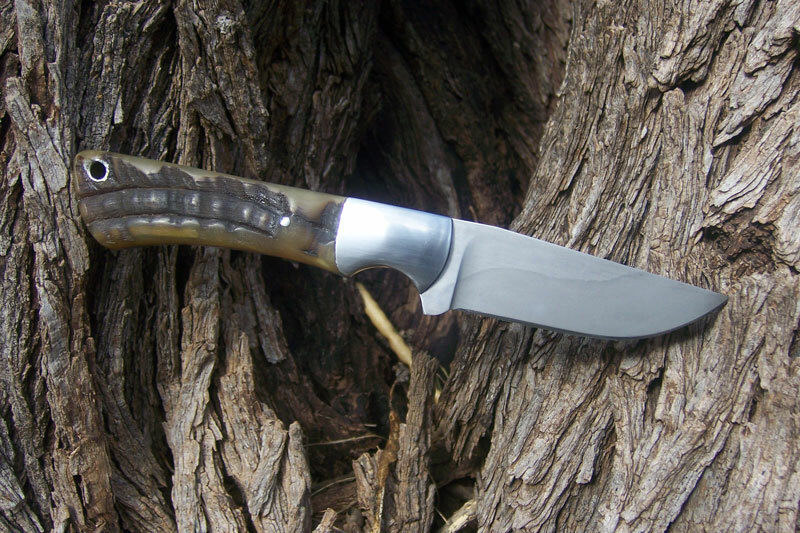 This particular one features 1080 carbon steel, tapered tang, and a clay-quenched hamon. 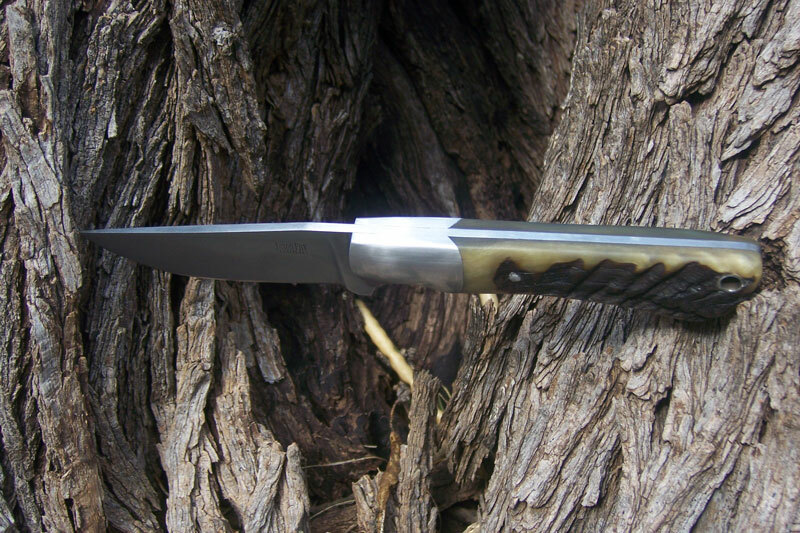 The satin finished dovetailed bolsters are 416 stainless steel and the handle is ram horn. OAL is 8 inches, with a blade of 3 1/2 inches. The sheath is my work as well. 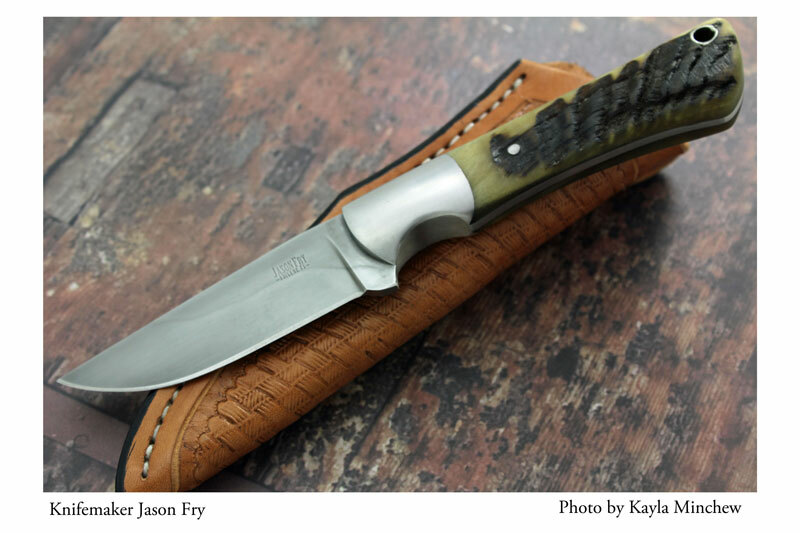 I sent this knife out for photos by Kayla Minchew. 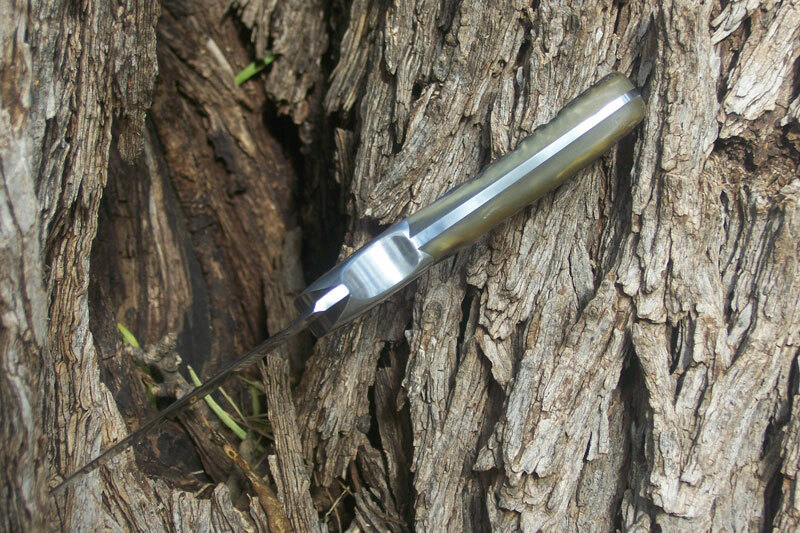 Hopefully we can get this knife published!